I haven’t been getting anywhere near what I should be for the last couple of months and I know it has contributed to how crappy I’ve felt. So this week my old good habit came back into play, my trusty frozen water bottle sitting out on the stove and I take a drink every time I pass through the kitchen (which is a lot). It’s been working, it was pretty easy to slip back into the habit and I’m feeling better (and peeing way more) already! 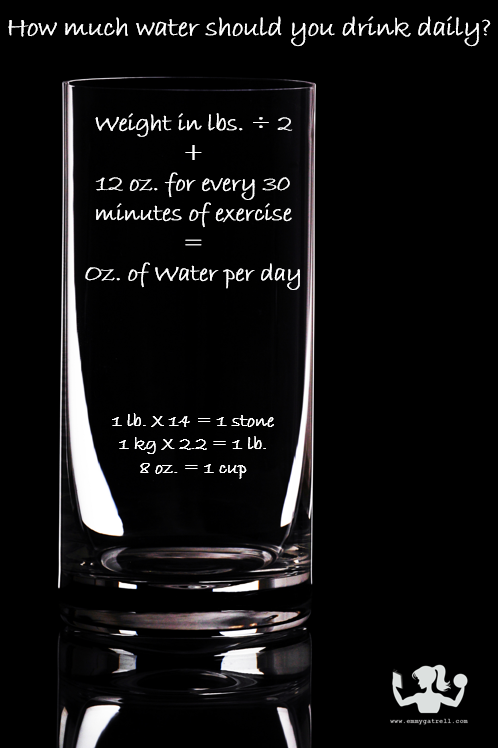 If you’re starting your fitness journey now, this is how went about teaching myself to drink more water by creating the habit to do so. I started with meals, and no, I still don’t drink water with my meals. I find it unpleasant to my palate. It’s weird but whatever, I’d suggest you drink it with meals if you like that kind of thing. I drank a glass immediately before my meal or while I was cooking. Back then, I would down it like I was chugging a beer. I just wasn’t a water drinker yet. But there was a duel purpose for drinking it then; it helped with weight loss. I had just had baby number two and had about 50 pounds to lose. My stomach was already a little full, soI didn’t eat as much. 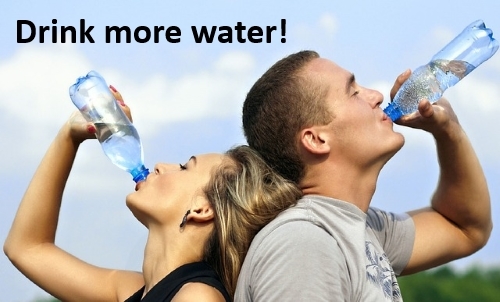 I stayed full longer and would know that if I did decide to eat something, I’d have to drink another cup of water. LOL. Sad but true. My whole thing is, find what tricks or new habit that will work for you. Hopefully, I got your wheels turning on how to incorporate more of it in your life! And here’s a little graphic to figure out how much you should be getting!